The Episode starts with Veena saying you have returned us this house, and ended our worries. She thanks and blesses him. Anurag says I m just keeping my promise to dad, I will do what dad told me. He leaves. Prerna comes. Suman says Anurag had come, he just left. Prerna asks Veena didn’t she tell Anurag that she is at home. Veena says but he didn’t ask for you. Prerna thinks he has gone, why didn’t he meet me. Mohini and Chobey talk to pandit about rituals. Mishka says Komolika is waiting for Anurag. Komolika says Anurag is sharing this time with my Sautan. Mohini asks what happened. Nivedita says Anurag has come. Mohini asks Anurag to meet Chobey. Chobey hugs him and asks him to go for rasam. Komolika says you forgot about the rasam, right, I didn’t like it. Mohini does the rituals. Anupam thinks Anurag told me that he loves Prerna, how did he agree to marry Komolika. Anurag recalls his promise to Prerna. Pandit guides them the rituals. Anurag says I want to ask Komolika for something. Everyone looks on. Komolika says interesting, you want something from me. They go for a talk. Nivedita sats let them be, maybe Anurag wants to talk to her, come with me. She says we need to be happy, we thought Anurag is in love with Prerna, he is going to marry Komolika, he isn’t marrying for business, if he loves someone, he can do anything for love, this time he is in love with right girl. Anupam looks on and thinks I don’t believe this, matter is something else. Anurag takes Komolika and says I want Prerna’s house’s original papers, I don’t want Veena to worry, that house is everything for them, Prerna was ruining her life for the house. She asks why do you need the papers. He says Rajesh’s family is my responsibility, I want the papers for Prerna’s sake. She says you have something in you and guts too, fine I know papers are imp for Prerna, but not for me, I promise I will give you papers after engagement. He says fine, come with me, lets announce engagement right now. He goes. Mohini asks what’s the matter. Anurag says just wait, she is coming. Prerna calls Anurag. Komolika comes and holds Anurag’s hand. Prerna says why is he not answering my call, now I won’t answer when he calls. Anurag says I called you all to say that Komolika and I are getting engaged tomorrow evening. Nivedita says that’s strange, why so soon. Mohini says good, but its early, you are Moloy’s son, even if I get arrangements done soon, Moloy is in coma, will this look good. Komolika says I also thought about this, I thought of Moloy, he wanted us to unite, if Anurag and I go to him together, maybe he reacts, patients can hear everything in state of coma, maybe a miracle happens. Mohini says yes, I hope a miracle happens, fine, your engagement will happen tomorrow, welcome to the family. She hugs Komolika. Anurag checks Prerna’s missed calls. He thinks what’s the matter, I hope everything is fine at her home. He goes to his room. He calls her. Prerna asks why did you not meet me and answer my call, is this your love, I trust you more than myself, sorry for scolding you, you are not like other guys who make love promises and then disappear. He cries and sees her pic. She asks will you say something. He says nothing. Naina….plays… She says fine, at least say good night. He says good night Prerna. He ends call. He says my house, family, dad, I promised dad, sorry Prerna, your house, your family, happiness…. I have fallen lonely, I had no option. Mohini comes to call him. He wipes his tears. Nivedita asks Anupam why does he look tensed. Anupam says nothing, I have to talk to Anurag. Mohini asks Anurag and Komolika to go for couple dance. She joins their hands. Ek ladki ko dekha to….plays… He imagines Prerna and dances with her. He says I m sorry Prerna. Komolika gets angry. She turns to him. He looks at her. Sindoor falls. Mishka says its abshagun, Anurag loves Prerna. Komolika says he will fill sindoor in my maang. Nivedita tells Prerna that Anurag wants to marry Komolika. 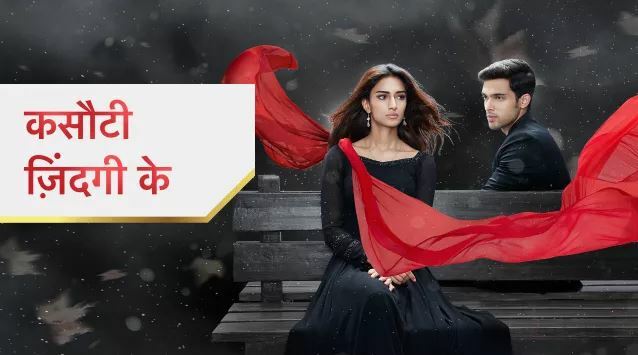 The post Kasautii Zindagii Kay 20th February 2019 Written Episode Update: Anurag and Komolika announce engagement appeared first on Telly Updates.